in a new neo retro Japanese look. Compact and stylish with a low seat height, the XV950 delivers a refined and agile ride while retaining the character that is a critical part of owning such an individual machine. 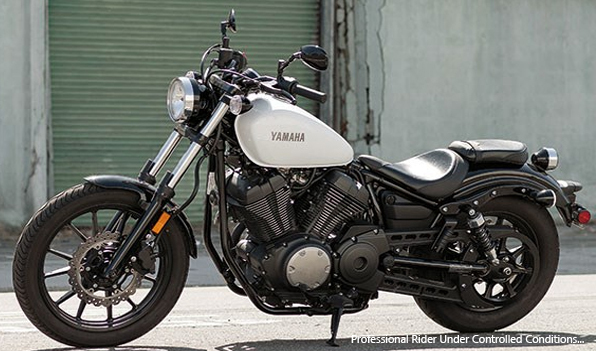 Yamaha’s flat line style and use of exposed metal components accentuates the bike’s pure simplicity while the V-twin motor provides spirited performance and unquestioned reliability. 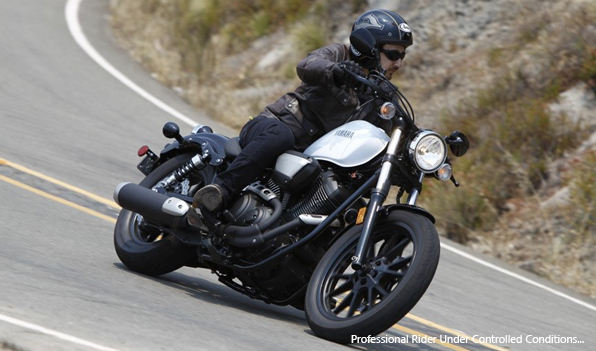 Stripped back and stylish, the XV950 provides a perfect entry into the world of customisation. The air-cooled 60-degree V-twin engine produces 80 Nm of torque at 3,000 rpm, making it ideal for urban use as well as spirited performance outside of the city’s limits. With a capacity of 58-cubicinches (942cc) the motor’s cylinders have a composite plating while the piston is built from forged aluminium for reliability as well as performance. Designed for outstanding efficiency and to contribute to the pure look of the bike, the new compact air cleaner is located on the right side of the motor. Flow analysis and road test evaluations have demonstrated this new style of air cleaner gives the XV950 motor excellent torque characteristics at low revs. New 3D maps for the ignition timing and fuel injection increase the V-twin engine’s already excellent acceleration in the mid and low-speed ranges, optimising its urban performance. To match this new fuel mapping, and further boost low to mid-range acceleration, the XV950 also features a newly designed 2-into-1 exhaust pipe layout. 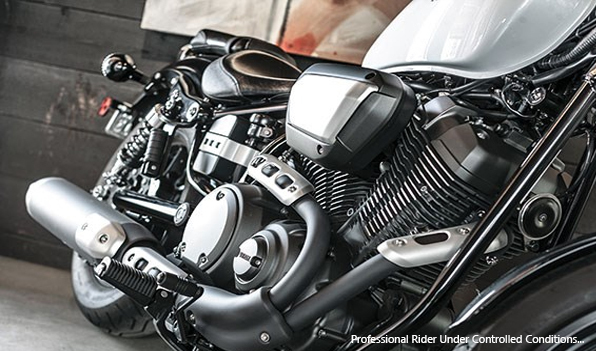 The V-twin engine has a rigid mount system to allow it to transfer the motor’s pulse through to the rider. 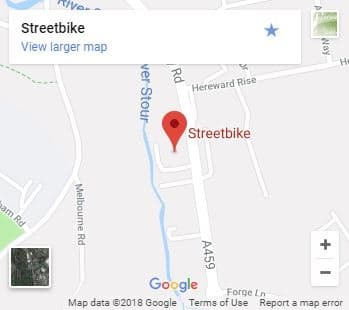 A short wheelbase provides a light and agile ride for maximum manoeuverability as well as a neutral and stable feeling when cruising. Upfront 41 mm conventional style forks compliment the traditional look of the twin shock absorbers. To keep the bobber look, the XV950 utilises newly designed 12-spoke cast wheels in 100/90-19 size front and 150/80-16 size rear. Together with the sporty suspension and floating rotor 298 mm wave discs, these wheel and tyre sizes offer the optimum balance of performance, grip and feeling from the road’s surface. 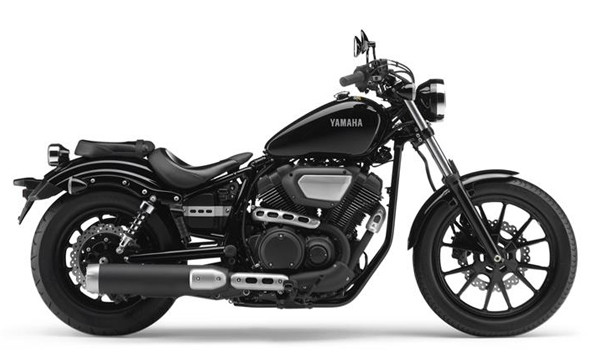 Yamaha’s unique flat line style and use of exposed metal components accentuates the bike’s pure simplicity while the V-twin motor gives a compact heart to the motorcycle. 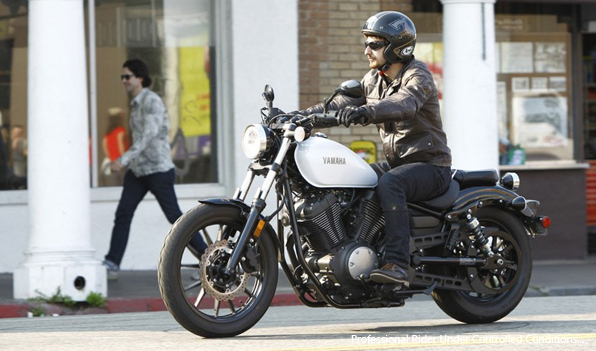 The XV950 has a raw metallic image while remaining simple in its design and sporty in its performance. 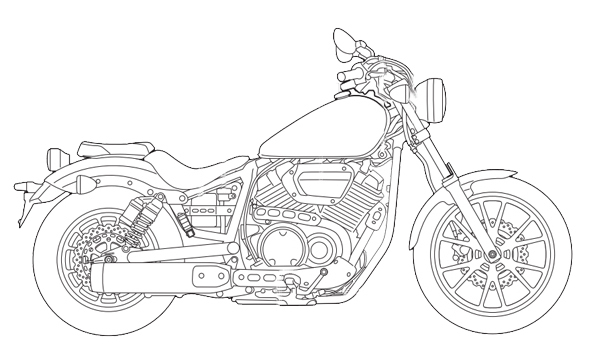 traditional Japanese quality engineering as a basis to build a new style of motorcycle. Each bike is individual to its creator, reflecting their own personality and influences, however at their heart they remain true to the core principles of engineering excellence ingrained within every Yamaha motorcycle. 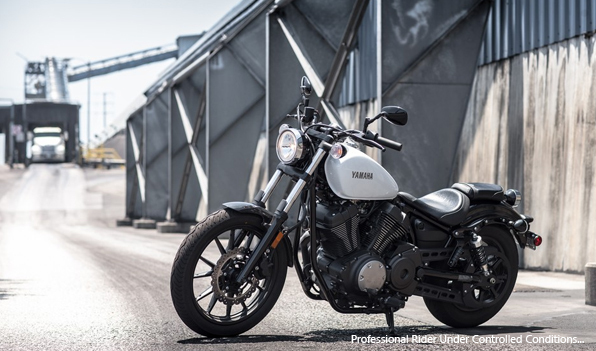 Now Yamaha is providing inspiration to a new generation of rider with the XV950, a bobber styled motorcycle that lends itself perfectly to self expression while encapsulating the character and personality of those original back street creations.